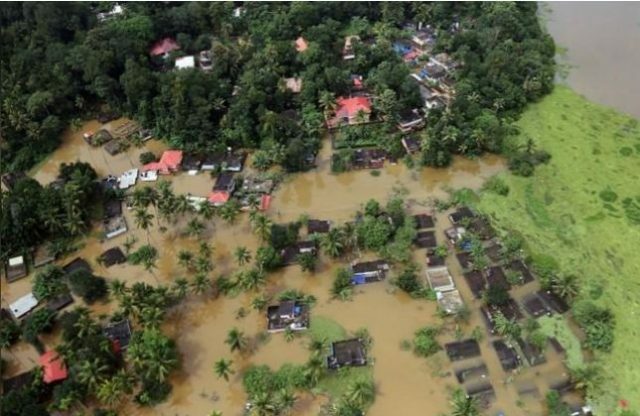 The death toll from floods that have triggered landslides and sent torrents sweeping through villages in the Indian state of Kerala trebled Friday to 324, authorities said, amid warnings of worse weather to come. Kerala has been battered by record monsoon rainfall this year and is “facing the worst floods in 100 years”, chief minister Pinarayi Vijayan said in a Twitter statement, adding that 324 lives had been lost so far. According to India’s weather bureau, since the beginning of June more than 321 centimetres (126 inches) of rain has fallen on the hilly central Kerala district of Idukki, which is now virtually cut off from the rest of the state. 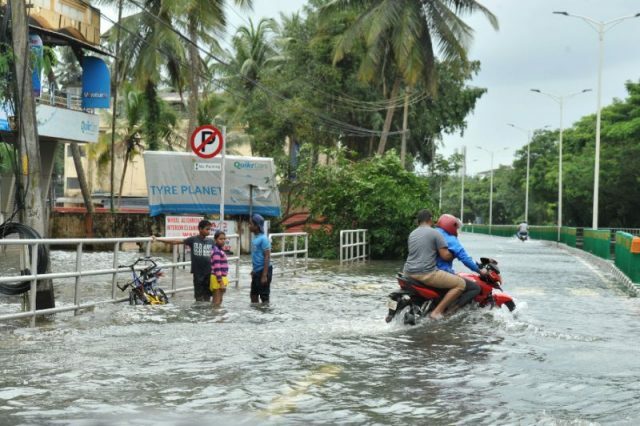 The Kerala government has said it faces an “extremely grave” crisis and state chief minister Vijayan warned of a new wave of rainfall hitting the battered region over the weekend. Strong winds have also been predicted for Saturday and Sunday. At least 220,000 people displaced from across the state are taking shelter in more than 1,500 relief camps. On top of tourist cancellations, Kerala’s valuable rubber industry has been badly hit by the floods. The government says 10,000 kilometres (6,000 miles) of Kerala roads have been destroyed or damaged, along with thousands of homes. News reports said electricity supplies to more than half the state have been cut. The state power company said that only one million people were affected, however. The home ministry announced meanwhile that 868 people have been reported dead in seven Indian states including Kerala since the start of the monsoon in June.